Since its inception, BCG has been a thought leader in business strategy. The firm enjoys bragging rights to a long line of CEOs, partners, and senior consultants who have been major voices in the grand scheme of management consulting. For decades, BCG founder Bruce Henderson wowed the world with his mind-altering insights and perspectives on keeping business growing through the world’s ever-changing economic environment. You may be familiar with the BCG-matrix? First published in 1968, the hugely popular “growth-share matrix” – a simple chart designed to assist large corporations in deciding how to allocate cash among their business units – is still used at the firm today. So when a BCG consultant makes a remark that involves “stars, cash cows, dogs, or question marks,” don’t take them for crazy! They’re just using BCG-speak. BCG has tons of information available on their website – and it’s all freely accessibly. You could spend hours, days even, browsing bcg.perspectives. And that’s exactly what we recommend you do if you’re considering applying with the firm. BCG is exceptionally proud of its position as industry thought leader, so the more you know about what they do and who they do it for, the better prepared you’ll be to present yourself on your resume and cover letter – and ultimately, in the interview. It’s no wonder BCG is considered one of the top 3 consulting firms in the world. Spend an hour reading Perspectives and you’ll feel like a genius too! Okay, let’s dive in. For all of you consulting candidates, here’s what it’s all about at BCG. Boston Consulting Group was founded in 1963 by Bruce Henderson as the Management and Consulting Division of the Boston Safe Deposit and Trust Company ( a subsidiary of The Boston Company). Henderson was a former Bible salesman from Tennessee who earned his undergraduate degree in engineering from Vanderbilt before attending Harvard for his MBA. He never graduated, however – he left 3 months before matriculation to take a job with Westinghouse Corporation, where he made his mark as one of the youngest vice presidents in the company’s history. Henderson eventually left Westinghouse for Arthur D. Little, then later was recruited by The Boston Company, where he was asked to start a consulting arm for the bank — BCG. A year later, in 1964, BCG’s first set of essay mailings were published. These were designed to stimulate senior management thinking on current and future business issues and would be the foundation of BCG’s Perspectives series. Soon after, Henderson’s first article in the Harvard Business Review, “Brinkmanship in Business,” was published, forging the path for BCG’s fame as a thought leader. In 1968 BCG officially separated from The Boston Company and became its own entity, with Henderson still at the helm. A year later, BCG ruffled some feathers when, through aggressive recruiting tactics at the nation’s top business school, the firm surpassed McKinsey as the top recruiter at Harvard. By 1970, the firm had reached 100 consultants with offices in Boston, Milan, Tokyo, and London, setting the foundation for its co-reign with McKinsey over the global business consulting kingdom. In 1973, another momentous event occurred, shifting the balance in the management consulting world forever. Bill Bain left his post as Vice President at BCG to form Bain & Company, the third pillar in the MBB empire. The break was anything but pretty. The war eventually settled, but not without casualties for BCG – Bain had run off with 2 of BCG’s biggest clients, Black & Decker and Texas Instruments. Henderson didn’t let the setback with Bain slow him down. By the mid-70s, half of BCG’s revenues originated outside of the US, and by the late 70s, the firm had grown to 250 consultants. Finally, in 1980, Henderson gracefully stepped down to a position as Chairman of the Board as Alan Zakon came on as CEO. That same year, the first Associate class was started. The firm began hiring college grads right out of school for a 2-3 year term, after which they’d strongly encourage them to return to school for an MBA or another advanced degree. In the early 80s the firm initiated a series of R&D projects that lay the groundwork for what ultimately became the firm’s industry and functional practice areas – including banking, retail, and manufacturing. In 1985, Henderson finally retired as BCG’s 3rd CEO came on board. Following Zakon’s brief 5-year stint, John Clarkeson served a respectable term as CEO until the late 90s, when BCG’s 4th CEO, Carl Stern, took over. Henderson, the firm’s backbone throughout its entire existence, died in the early 90s at the age of 77. He lived long enough to witness the firm’s expansion to 1,000 consultants worldwide, big enough to require the implementation of a regional structure to better manage its growth. Foreseeing the emergence of online commerce in the new millennium, BCG partnered with Goldman Sachs in 2000 to create a suite of successful Internet-based startups, one of which was later sold and developed into Expedia. BCG made another big move in the early 00s when it extended its reach into influencing social change around the world. Now universally recognized as 1 of the 3 most prestigious management consulting firms in the world, BCG is consistently recognized by top industry authorities for its innovation, thought leadership, and culture. Who wouldn’t want to work for a company on Fortune’s “100 Best Companies to Work For”? Like any business that grows from a 1-man show to a company with 6,000+ members over a few short decades, BCG has seen its share of organizational changes. In 1987, the firm’s first practice areas were first defined. Interestingly, that was the same year the position of Senior Partner was created. For more than two decades, BCG has grown on average at about 15 percent per year, showing strength in all geographic regions. In the last five years, the firm opened 13 new offices around the world. Overall, BCG has over 81 offices in 45 countries. BCG takes an approach to project staffing that is more similar to Bain than McKinsey. The firm’s office philosophy is to put consultants in the local markets to serve global clients as locally as possible. As a result, local office culture is vibrant and consultants feel connected with their peers. However, in-region (or across, as demand requires) consultants may be staffed cross-office, and the culture is increasingly global as the firm grows. BCG has a fairly stringent system for recruiting and hiring, as is par for the course for MBB. The firm hires undergrads as Associates who work for 2-3 years before exiting or pursuing an MBA (not much different from when the Associate position was created over 30 years ago). Note, at BCG it is very difficult and highly unlikely for an Associate to make the leap to Consultant without an MBA. If you’re hired as an MBA, you enter as a Consultant with plenty of room for growth – to Project Team Leader, Principal, then finally Partner. At BCG, training is a serious part of the consulting experience. The firm offers a core curriculum that provides in-depth courses on the key skills consultants need to develop at each career step. LAB is BCG’s personalized learning portal that provides the firm’s professional staff with access to a suite of online training materials. BCG also has a couple of really cool opportunities for top performers. The Strategy Institute – directed by a BCG senior partner – is a project team made up of top consultants drawn from BCG’s offices around the world. The Institute’s sole purpose of existence is to look out 10 years into the future and develop innovative ideas around how the firm’s clients should think about strategy and competitive advantage. Then there’s the BCG Fellows program, where the firm’s most accomplished thought leaders are granted carte blanche to research anything they want. You’ve got to be nominated for this honor, but all the hard work is worth it. You’re given a substantial research budget and supporting case teams. Getting a BCG internship is the most swell way to improve your chances at a full-time offer. If you’re amazing enough to receive an internship offer with BCG, your chances of landing a return offer are, needless to say, very high. As a Summer Associate or Summer Consultant, you’ll spend 10 weeks in the ranks at BusinessWeek’s highest ranked consulting firm on their “50 best internships” list and 75%+ receive return offers. If your training and development opportunities at BCG aren’t enough to make you feel super confident about exiting the firm to pursue your next chapter, the BCG alum badge should fill the void. Let’s face it – having BCG on your resume will open almost any door you want to pursue, or at the very least get you an interview. Bill Bain – Founder of Bain & Co.
Alexander Rossolimo – Founding chairman of Center for Security and Social Progress, Inc. So what’s it like to be a “BCGer”? BCG says they look for “curiosity, talent, and the ability to lead” in their new hires. You’ll find all this and more in consultants at BCG. If you like to work around super smart people, have access to opportunities for work and travel in foreign countries, and enjoy frequent company-sponsored outings and excursions, you’ve come to the right place. 1. A BCGer has the ability to look creatively at any problem. BCG cases are the most curveball, the most surprising, the most push-the-envelope. They aren’t just looking for people who have memorized frameworks – they are looking for the new Picasso of the consulting world, someone who can create their own frameworks on the fly. 2. A BCGer does not accept the status quo – ever. If you look at the above list, notice that multiple alums of the firm went on to found their own consulting firms. Not satisfied with just advising their corporate clients, they disrupted the whole consulting establishment with their move to put their money where their big mouths were. 3. A BCGer is a true academic who always gets the big picture. BCG consultants are constantly looking at public policy, tax, competitive, creative, and disruptive influences across markets. In your BCG interview, you might find yourself talking about business or science or politics – and you’ll be expected to authentically understand and believe what you share. Because the culture prides itself on being cutting edge, consultants are prone to intensity and debate – always pushing the envelope to understand and challenge each other. We mentioned office culture earlier and compared it to Bain. While the similarity is there, we’d classify BCG as way more conservative in terms of the vibe at the office. Additionally, while teamwork is an essential part of any BCG office, there’s also a lot of focus on individual effort on projects. Also, BCG places a ton of emphasis on “rolling up their sleeves” and “tailored solutions for clients.” BCG sells against McKinsey more often than Bain, and their customized, collaborative client approach is a direct slam on McKinsey’s “dust off another report” approach. The typical travel schedule at BCG is 4-days-a-week, with everyone back in the office on Fridays. Often, consultants will use Fridays to connect with their managers, set their plan for the next week, determine what work they’ll need to accomplish over the weekend, then hit happy hour with other BCGers to rehash the ups and downs of the job. Since it is MBB, you can expect a rigorous travel schedule, but at the same time expect to be treated nicely for that time on the road, with perks like Platinum membership at SPG resorts. Typically, candidates go through 2 rounds of BCG case interviews, with 3 separate interviews in the first round and 2 additional interviews in the second round. In general, interviews are divided into 3 parts: personal background, case study, and Q&A from the candidate. Most time is spent on the first 2 parts. 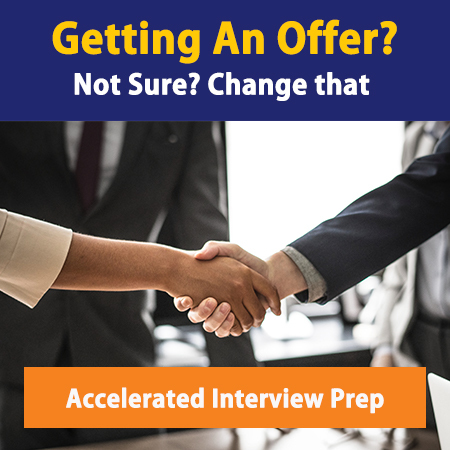 Screening interviews are used for non-traditional candidates, and can be short market sizing or mini-cases just to see if you have what it takes. The case study part of the interview at BCG is less about getting the right answer and more about sharing your thought processes and structure. The questions you ask and how you apply the answers is much more interesting to your interviewers than an actual solution. In fact, 50% or more of your BCG interviews may be made up on-the-spot – testing your true business intuition, and maybe even giving you the chance to offer insights on a real-time client project. BCG is all about information sharing. Browse their website for interview prep tips, practice cases, and interactive online cases. Or, get your hands on 550+ more cases with MC’s Case Bank. BCG hosts informational sessions at target campuses around the world. They also host specific recruiting events for diversity groups in September-October each year. The firm lists the names and email addresses of diversity group contacts on their website – take advantage of this by making a diplomatic and friendly email introduction before attending your first career event. For wanna-be BCGers, career events are crucial opportunities for face-time with recruiters and consultants. Get your resume ready before introducing yourself – there’s nothing that will hurt your application more than showing up unpolished or unprepared. Not sure whether your resume makes the grade? We can help! Learn about our resume editing service or email us. Similar to McKinsey, networking for a position at BCG is most effectively targeted at the professional consulting staff, as opposed to recruiters. Aside from getting a personal introduction through friends and family, there’s almost no better way to connect with BCG consultants than attending your school’s BCG-sponsored career events – fairs, interview days, coffee chats, etc. HINT: If you’re not already a member of LinkedIn, join now and start making connections. The likelihood of someone you know being employed or formerly employed at BCG is higher than you think. Make sure to extend your links beyond your friends at school. Consider parents, parents’ friends, administrators, professors, and other professional contacts to widen your net. Are you an undergrad, MBA or intern who’s interested in working at Boston Consulting Group, but you don’t know how much you’ll make? Check out our latest Management Consulting Salaries post to find out! In addition, BCG offers 2 programs to the Black and Hispanic undergrad student community – the Bridge to Consulting Workshop and Externship programs. The intensive 2-day Bridge to Consulting Workshop held this past spring in the BCG Philadelphia Office was all expenses paid. Interviews for the Externship program – involving a week-long non-paid in-office experience – are held during the Workshop, so if you’re looking to apply for an internship, your first step is to apply for the Bridge to Consulting Workshop. The firm offers a similar program for MBAs. BCG’s Scholars Program invites Black and Hispanic MBA students to apply for a Summer Internship. “Scholars” are awarded a $5,000 forgivable loan upon acceptance and are welcomed onto a project team for the summer.